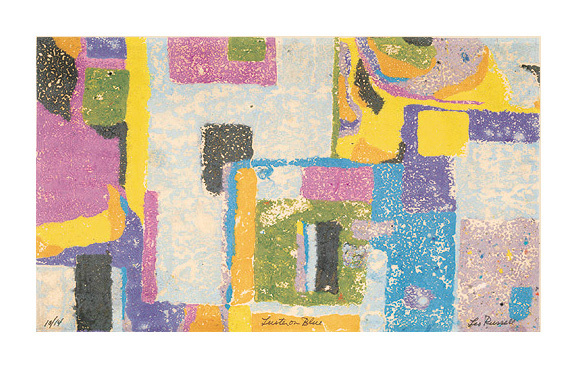 Luster on Blue= c.1950, Serigraph. Edition 14. Signed, titled and numbered 10/14 in pencil, in the image, lower right, center and left, respectively. Image size 10 7/16 x 17 3/4 inches (265 x 451 mm). A rich, painterly impression, with fresh colors, on cream wove paper, with the image extending to the sheet edges, in excellent condition.